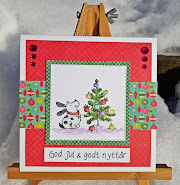 Hos Dorte: W for Wishes, a DT card for ABC Christmas Challenge. W for Wishes, a DT card for ABC Christmas Challenge. Lisa is our host and the letter is W.
For todays card I've used a LOTV topper of those two lovely snowmen. The round sentiment is also from LOTV. 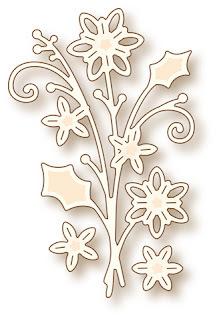 The paper is unknown, the embossing folder is from Cuttlebug. 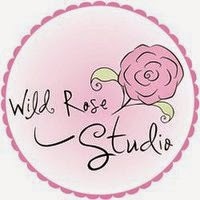 We are sponsored by the lovely Dulcie, owner of the Wild Rose Studio. hey Dot! I hope you are doing good! I love this beautiful snow couple! So sweet! This is such an adorable card! I love the gorgeous pinks. Thank you for sharing with us at the Ribbon Girl, good luck and I hope you will join us again. This card is very beautiful... I love it! The colours are so pretty and such a sweet image.Lovely card.Thanks for joining us at Crafty Sentiments.Hope to see you again next week. Sweet card, love the colour combo. Thanks for playing with us over at the Paper Shelter. 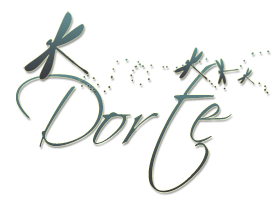 Hi Dorte, this is a beautiful card. That is a super cute image and I love your delicately coloured card design. Supercute christmas card :-) Love the color combo. 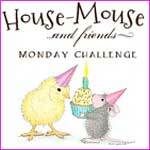 Thanks for joining in our challenge "Christmas". What a sweet and lovely Christmascard! Thanks for joining us at AnMaCreatief! Anything Christmas Goes, a DT card for HMFMC.